Locals remember the old Lookout Farm store on Pleasant Street in South Natick. It was a place where you might chat with your neighbor while buying apples, vegetables and meat from area farms or get a gelato on a hot summer day. The store has long since closed, but now Belkin Family Lookout Farm has created another gathering place around a different kind of local concept. The product is still apple, but this time it’s cider. Nestled between the towns of Dover, Natick and Wellesley is a 180-acre fruit orchard, one of the oldest continually operating farms in the country. Situated among the u-pick operations at that farm is Lookout Farm Hard Cider and Taproom. Jay Mofenson stands behind the bar in the Taproom wearing jeans, a t-shirt and a baseball hat. He sets a flight on the counter in front of me, four samples of hard cider varying in taste, color and ingredients. It’s late September, and the seasonal blend “Pumpkin Patch” is made not only with cider from the farm but also with the farm’s sugar pumpkins. As I sip, I detect the subtle flavors of coriander and nutmeg. Next I try “After Burner,” a spicy cider made with the Carolina Reaper pepper, reputedly one of the hottest peppers in the world. I taste the sweetness of the apples and feel the pepper’s burn on the back of my throat. Made with honey from the orchard’s own beehives, the brewery’s “Farmhouse Blend” has a sweeter and more intense apple flavor. The “Lazy Summer” cider is dry and more similar to a white wine. I’m not sure which I like best and continue to alter my sips from glass to glass, from sweet to spicy to dry. When Steve and Joan Belkin bought Lookout Farm in July 2005, the farm—which dates back to 1651—was losing money. The Belkins hired John Burns as general manager and began addressing operational and expense issues, adding pick-your-own strawberries, selling 80% of their fruit wholesale, including Asian pears, and looking for ways to make the orchard financially viable. “We were looking for something that was going to be a more productive use of the resources that we had here on the farm,” John says. Then Burns and the Belkins saw an opportunity and another use for the 1.6 million pounds of apples Lookout Farm grows each year on its 40,000 apple trees. They learned that hard cider represents about 20% of the beer market in Europe but only 1% in the U.S., and began exploring what it would take to create their own hard cider in an industry they were sure would grow. So they planted 3,500 bittersweet apple trees, the type of apples our forefathers would have used to brew their own hard cider before Prohibition caused bittersweet trees to be replaced with culinary ones, like Gala, McIntosh and Macouns. And then Jay Mofenson married into the family. Mofenson was ready for a career change when he married the Belkins’ daughter, Amy, in 2013. After 10 years as an attorney working in construction law, he jumped at the chance to start a cidery at the farm he remembered visiting as a kid. Next, finding the right brewmaster was important. Mofenson wanted someone not only with the proper skill set but also with the proper personality. 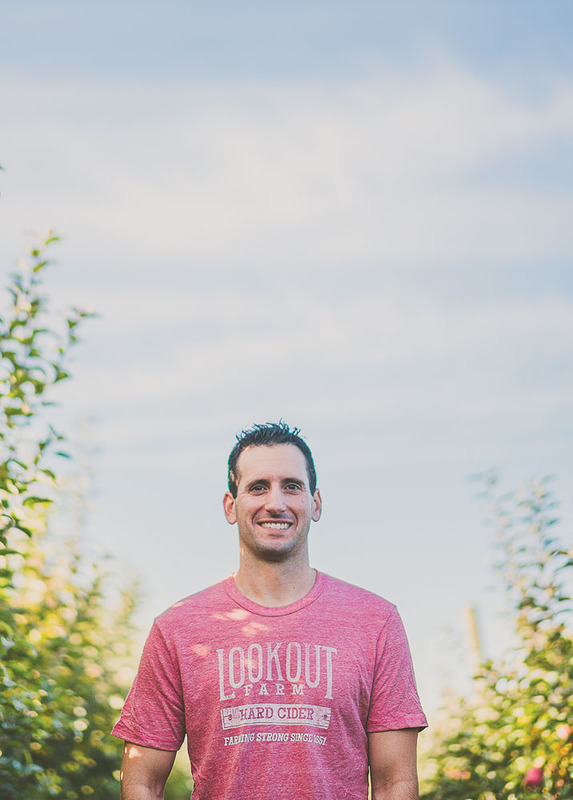 After several emails and phone calls, he found Aaron Mateychuk, Lookout Farm’s new cider master. 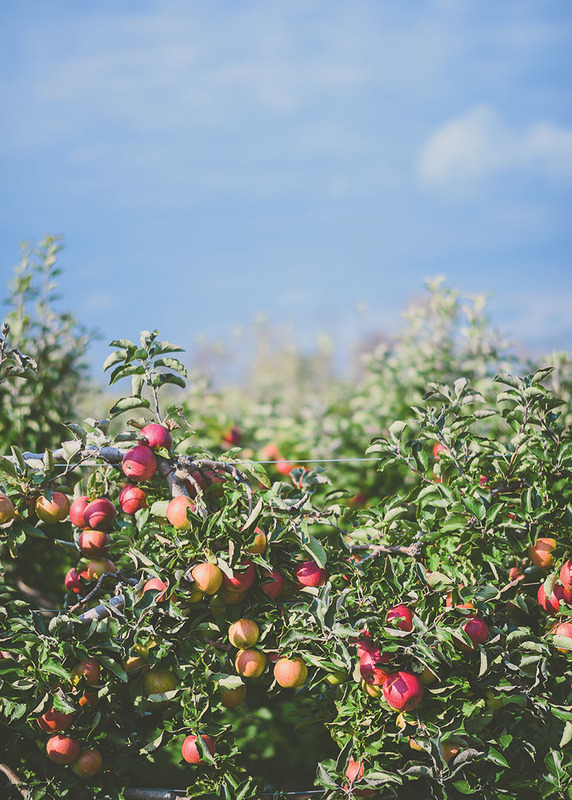 Although the farm grows 25 varieties of apples, the brewery uses only four in the Farmhouse Blend cider, one of which is the Jonagold, a West Coast variety brought to the farm by previous owner, Les Marino. Burns stresses the importance of the u-pick operation and says he controls how much fruit is sold for wholesale. 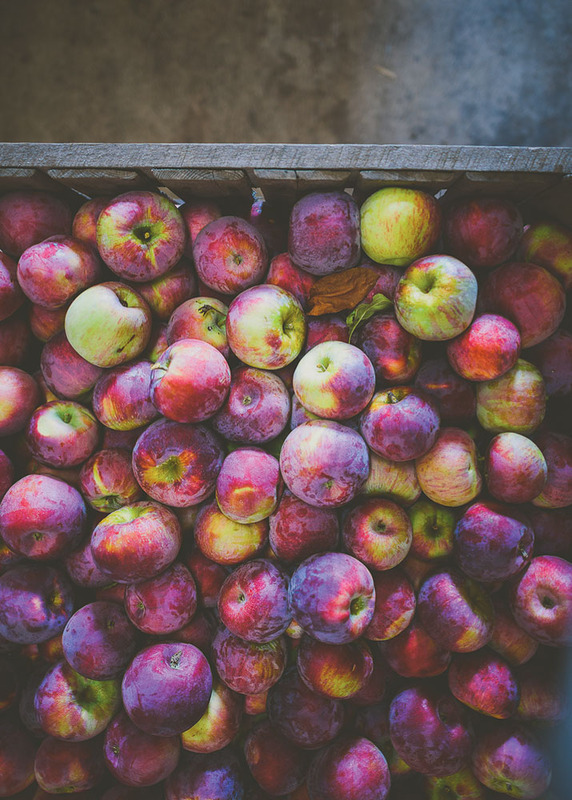 The apples are picked before the first hard frost, stored in the cooler and used throughout the winter to make the cider. Only when the apples run out will the farm source additional cider apples from the outside. “We know the apples that we want,” he says, stressing the importance of getting apples with a high sugar content and the right acidity level in terms of the flavor profile that they’re trying to achieve. “Sugar likes to ferment when yeast is added,” Mateychuk says, emphasizing that even when the cider is the right sweetness, it still wants to ferment. While hard cider is usually made once a year, he says that they are looking at new ways to control the fermentation. “We want to make cider on the same pace as beer is made; in weeks not months,” he says. As people’s food palates become more sophisticated and his customers become more educated, Mateychuk is interested in trying new flavor combinations. “I’d love to push the envelope as much as we can with cider,” he says. If the varieties of ciders that have already been produced at Lookout Farm are any indication, he’s only just beginning. Using local fruit, hot peppers, teas, spices, vanilla, oak barrels and even hops for flavor, he has created varieties like Chai Now, a blend of black tea, cinnamon, ginger, clove and cassia; Super Berry, made with hibiscus, elderberry, blackcurrant, raisin, lingonberry and blueberry; a Halloween cider, Bloody Good Time, tinted red with roasted local cranberries, blood oranges and hibiscus; and Barn Warmer, blended with Taza Chocolate's roasted cacao nibs, DRINKmaple water, Vermont maple syrup and vanilla bean. “We have created some unconventional flavors with immediate success because it makes sense when pairing certain flavors from different apple and yeast profiles,” Mateychuk says. 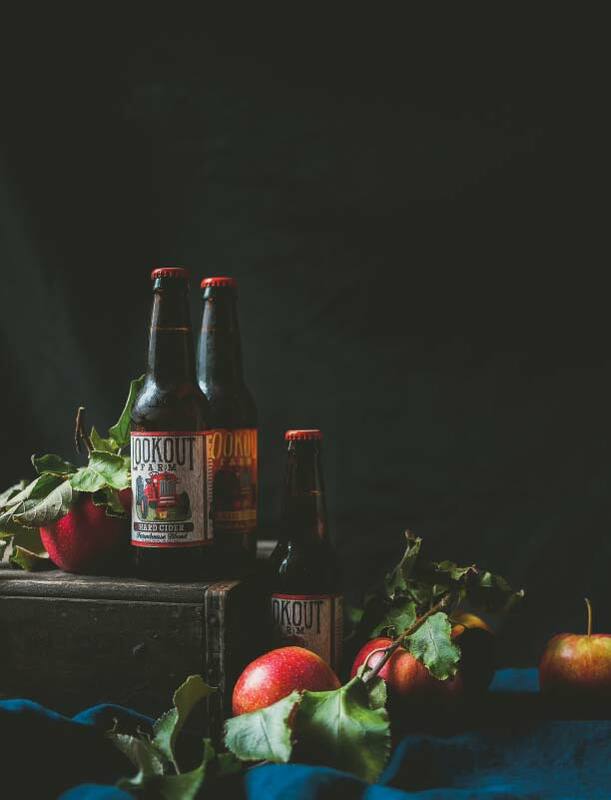 “We are learning a lot as we grow, but there is so much intrigue in being pioneers in this newly invigorated hard cider scene.” Mofenson stresses that the flavor should be natural yet recognizable. “It’s all about balance,” he says. Lookout Farm’s Taproom is situated in the old farm store, just inside the farm’s entrance. When Mofenson first entered the building after its years of disuse, he discovered a rotted roof and a resident frog. The building was in shambles. With the help of his friends, the building was renovated, creating a place where people can try the cider. Wood from one of the farm’s old buildings was used for new walls and beams. Sides of old apple crates were saved from the farm’s burn pile and used to adorn the walls behind the bar. The remaining walls were painted gray, and a gas fieldstone fireplace was installed in the corner. The cider is served from taps on the front grate of an old tractor, a 1975 Ford Workmaster, sandblasted and painted red. Mofenson’s goal is to provide a place for the community, he says, while telling me of his plans to have local musicians perform on the weekends. The Taproom serves local food to compliment its cider with cheeses from the Massachusetts Cheese Guild, meats from New England Charcuterie in Waltham and flatbread made onsite. Fruits and vegetables are either grown on the farm or bought at the local farmers market when in season. Even gelato is once again made behind the Taproom wall, a leftover from the old farm store of yesterday. “Everything will be local where it makes sense to be,” Mofenson says. “The farm is an amazing opportunity to connect with nature,” Mofenson says as we walk along the grape arbor from the Taproom to the building where the cider is brewed. “It reminds people that farming in America is still here—it’s part of our heritage. You can visit the Taproom Friday through Sunday from 12—8pm. Tours of the cidery are offered weekend afternoons.